Saginaw Valley State University offers many options for social activities — both on and off campus. 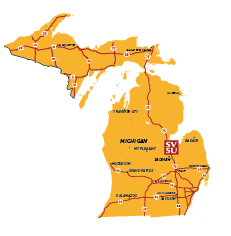 The Campus is in the heart of the Great Lakes Bay region. Big-name concert venues, breathtaking waterways and lively downtown scenes are minutes away. Visit from an amazing array of indoor/outdoor places nearby SVSU. Enjoy eventful fun night out. Get fresh vegetables from your nearby city.